Having started working as an Estate Agent in Golders Green in 1994, I have gained an extensive knowledge of North-West London. In 2000 I co-founded Hausman & Holmes and I’ve never looked back, I enjoy every aspect of the daily routine that comes with running a busy and vibrant office, but it’s my family life that keeps me energised and motivated. I enjoy playing tennis when I can find the time and being a father to my three growing boys. I take great pride in being a Director of our family business. My skills as a people person make me the ideal man to head up our successful Lettings Department. When not hard at work I can be found on the tennis court or persuing my love of foreign travel. 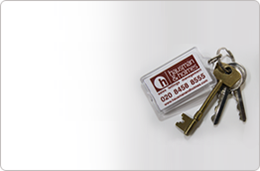 My life in Estate Agency started with Hausman & Holmes in 2002. Having worked in the sales industry all my life, I found the transition straight forward. Working with my sons is a dream come true and I love every single minute of it. I enjoy the old classic films and the theatre, as well as spending time with my grandchildren. Having had over 15 years' experience in the property industry I have become an integral part of the Hausman & Holmes team. My knowledge across all areas of Estate Agency affords our clients second to none advice when selling or buying. My main passion outside the office is playing all sports and travel, having already visited over 60 countries, I'm closing in on my target of 100. Coming from a background in sales, I’ve established much of the skill set needed to enhance the already vibrant Lettings Department and enjoy the professionalism and pleasant family atmosphere which is shared by all. When I'm not in the office, you can probably find me under a car surrounded by tools or spending time with my family. Communication and organisation are my key strengths so my role as Lettings Co-ordinator is perfect for me. No two days are ever the same, it can be incredibly hectic but also extremely gratifying. Having worked in the property industry for over 20 years mainly in North & NW London, I have extensive knowledge of Sales, Lettings & Property Management but my heart lies with Property Management. As one of the newest members of the team, I have found working for Hausman & Holmes a breath of fresh air. They are a great bunch of people and extremely professional and organised. I prefer to work within an independent Estate Agents as I find they offer a better service and experience to their clients. Working for a family business I think makes you go that bit further than the rest. I don't have a lot of spare time as I am a bit of a workaholic but I am very close to my family so enjoy spending as much time with them as I can. All aspects of electrical, plumbing and heating. Professional property cleaning and gardening. Professional decorating, handymen and furnishing.